Black border and metalised border versions on different layers. Colours all easy edit. Superbike racing motorcycles are derived from standard production models, so for a bike to be eligible, the manufacturer must first homologate the model and manufacture the required number of roadgoing machines. 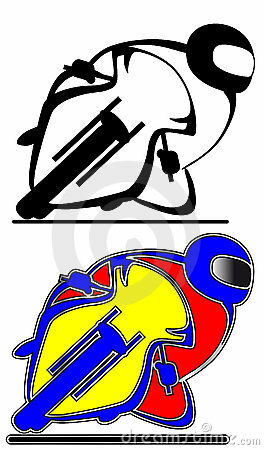 While rules vary from series to series, in general the motorcycles must maintain the same profile as their roadgoing counterparts, with the same overall appearance as seen from the front, rear and sides. In addition, the frame cannot be modified. Teams may modify some elements of the bike, including the suspensions, brakes, swingarm, and the diameter and size of the wheels. For all your moto gp news visit : motogp.com. 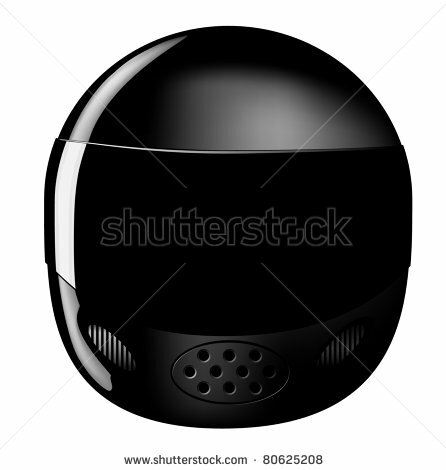 Shiny black futuristic motorcycle helmet. 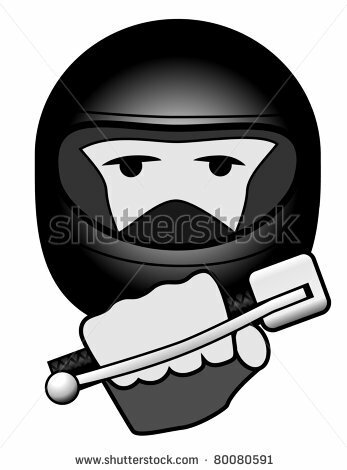 Simple image of Biker holding handlebar accelerator twist grip. 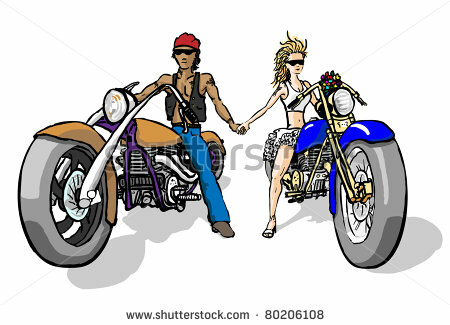 Biker Wedding with Bride and Groom holding hands, possibly just about to ride off into the sunset together and a bikers honeymoon. Need an illustration? Why not talk to Hayling Graphics.